1. 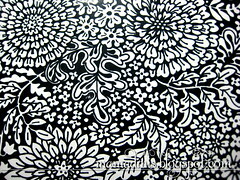 Stamp background stamp on glossy cardstock using Memento Tuxedo Black ink. 2. Color in a few areas with Alcohol markers (Copic, Neopiko, etc). 3. Use a polished stone technique to cover the stamped area. 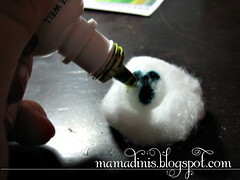 Soak a cotton ball in alcohol (I used 95% rubbing alcohol) and add a few drops of reinker. 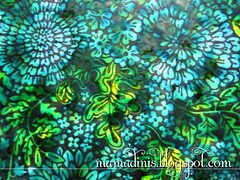 On this piece I used Olive Pastel Chalk ink (Colorbox) and Adirondack Stream (Ranger dye ink). 4. Apply the alcohol/ink to the cardstock with the cotton ball in a pouncing motion, until the piece is filled in to your satisfaction. 5. 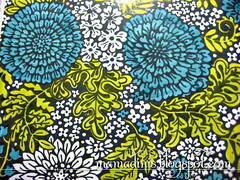 Here is my final piece - the dried inks are a little less intense, but you can see the effect here. The piece can be used as is, or sanded lightly to remove some of the gloss of the cardstock. Hope that helps explain how this technique is done. If you have any questions, please let me know! Now that is gorgeous! I am posting the final to the IO blog and sending them here for details, lady! !